Hello everyone! I’m Hearts™ and I am Familiarity’s newest writer. Lunch and I have been friends for some time and I told him a while ago that I would love to write for Familiarity if only I could come up with a good idea for a story. I think I have, so I pitched the idea to him and he agreed to let me take a crack at it. I’m excited and humbled by the opportunity to be a member of such a talented group, and I hope that my story adds something to Familiarity that it might otherwise have lacked. DiAnE is a Diagnostic Analysis Engine - or at least, that’s how she is described by the British Empire. Like many of the other characters in our story, she is an outsider. 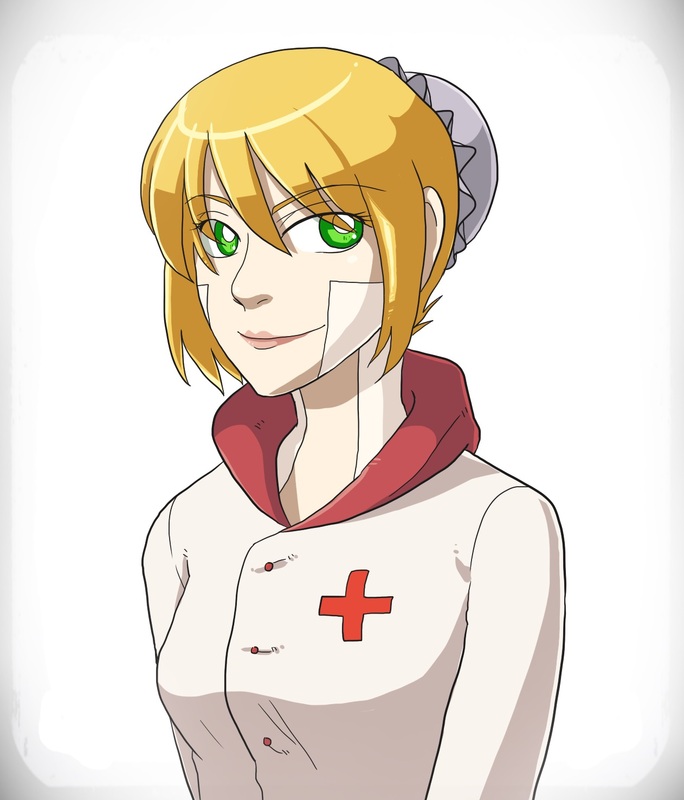 Having been salvaged by an expedition team from the remains of a foreign starship, Diane’s function as “medical automaton” was quickly discovered and she was repurposed for work in one of Familiarity’s medical wards. Being a “foreign artifact,” her degree of technological sophistication is beyond what one would typically find in Familiarity. 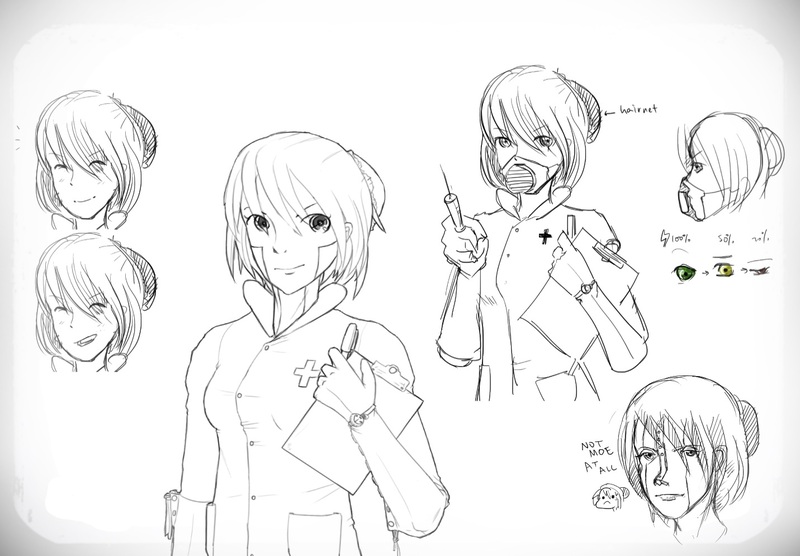 Unlike the other medical drones in the ward, Diane both speaks and behaves more like a human than like an automaton. 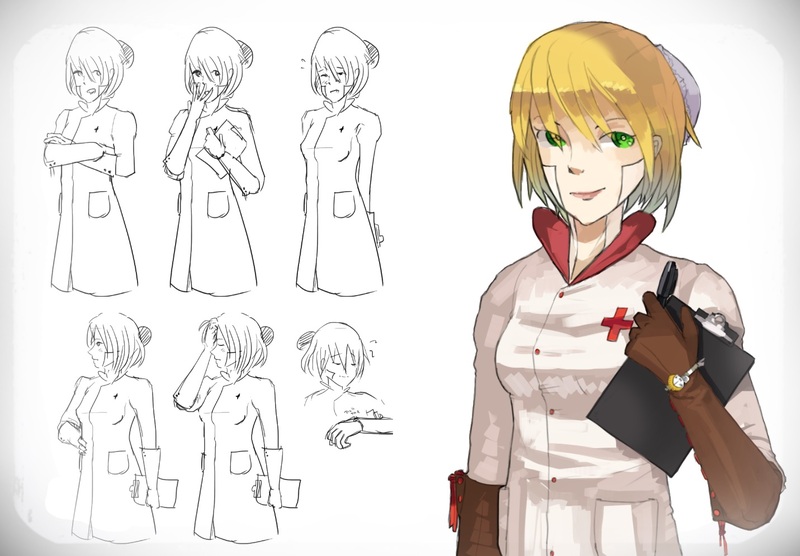 Her skill as a physician further distinguishes her, and she’s proven to be every bit as capable as the doctors aboard the ship, even though she’s primarily tasked with things that are too tiresome or annoying for the senior medical staff. Because of this her patients tend to be highly traumatic or stressful cases, but she approaches each of them with a warmth and optimism that has made her extremely popular with those under her care. She is especially adept at dealing with young children who quickly grow attached to her nurturing, maternal nature. Some early design concepts and general cuteness. As if being upstaged by a robot weren’t enough, she’s a “woman” robot to boot, and the only medical practitioner in the wards to have that distinction. As you might imagine, neither of these things have endeared her to the rest of the staff, and many of them are quick to downplay her competence. But official reports of her being “just another drone” don’t quite line up with the rumours of her “innovative” procedures and her ability to rapidly diagnose cases that have proved baffling to her peers. Despite the unfavourable treatment she receives, Diane shows no signs of wanting to leave her role and appears to find her work on Familiarity to be both fulfilling and meaningful. Diane’s visual design is almost entirely the product of Rinbro’s own creative vision. The sole direction I gave him was that I wanted an android that was human-looking, was a doctor, and had a “mature” appearance. What I liked in his design is that he managed to give her an air of maturity without making her look old or haggardly. Her colour scheme was mostly workshopped by me and Chocojax and might be subject to some minor adjustments. What I intend to do with Diane’s story is put her and Gavin at odds with one another in ways that develop each of them as characters. They are very different people, but similar in enough ways that they can give each other a lot of perspective on the choices they have made in the past and the choices they will make over the course of the story.